Craig TV remote codes. 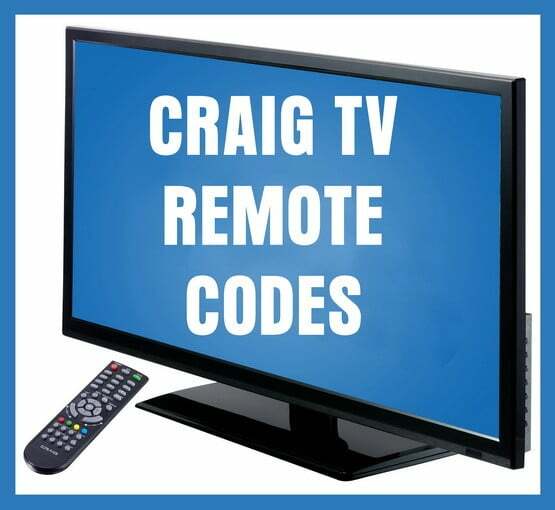 Here are remote codes to use with your Craig TV. Program Your Cable or Satellite Remote Control to Work with Your Craig TV. You can program your cable or satellite universal remote control to also control your Craig TV. Find for your provider and remote control in the list below and enter the TV code provided into the remote control. Check with your cable or satellite provider for instructions. If the codes you need to control your Craig TV, please let us know below and we can provide more remote codes for your specific remote. i am using a twc universal remote control model#: RC122, tried the code “1019” but the code didn’t work, kindly help me to look for a code for this remote thanks! Try going to our Digital Converter Remote Codes page. I have a Craig 13″ tv CLC-503 the only code I have found that turns the TV on. Does nothing else. I have a Craig 13″ tv CLC-503 and i’m using a ONN universal remote and i have tried every code i can find nothing works. Thank you for any help.